It's a love for the land that sinks as deep as a taproot. Or not. For agricultural families, whether it's a pear orchard, a vineyard or a tomato-processing plant, there's no handbook for knowing when — or how — to hand over the business to the next generation. Or even whether the kids are interested. Karrie and Todd Rufer, both college graduates in their 20s, are decidedly interested. As siblings who grew up playing in the family's agricultural warehouses in Williams, Calif., the two have come home to take jobs that will determine whether they will eventually assume the reins at Morning Star Co., the global tomato-processing business started by their father more than 40 years. "We came to work with an open mind. My dad's put in thousands of hours, so it's his choice to sell it or not," said Karrie, 28, who holds a marketing MBA degree from St. Mary's and works at the company's office in Sacramento, Calif.
Their father, Chris Rufer, got his start in the 1970s, hauling bulk tomatoes to local canneries during his college summers. Today, he oversees a $350 million tomato-processing empire with 400 full-time employees and three Central Valley manufacturing sites that ship tomatoes — mostly diced and paste — to hundreds of U.S. companies, as well as more than 40 countries overseas. While "emotionally invested" in his children and family, the 64-year-old business owner says it's not a given they will — or even should — take over Morning Star. "My first responsibility is to my customers, suppliers, employees and colleagues. I don't have my ego in this. You have to ensure that you're passing on a business to someone who is capable, responsible and willing." Successfully transitioning a family-owned business is no easy task. But there's a lot at stake, particularly for agricultural enterprises. According to a 2013 survey by the U.S. Department of Agriculture, there is more than $2.7 trillion in equity in American farms and ranches. And with the average age of U.S. farm owners nearing 60, there will be a huge turnover in ownership in the next couple of decades. "Families have different philosophies," said Sacramento attorney Stephen Meyer, cochair of the Downey Brand law firm's food and agriculture practice. "Some say the farm should stay in the family, come hell or high water. Others see a need to give the next generation the flexibility to be bought out. There's nothing wrong with either scenario." But there's a real risk in not doing anything. A hard-earned family business can quickly sink if there's no clear idea on what the founders wanted or who might be interested in carrying on the business. Meyer said he knows of a Southern California farming family whose well-to-do patriarch didn't want to consult with anyone about who would succeed him. When he died, ownership struggles ensued among his four children. "About $2 million in attorneys' fees later, his son owns the farm. Two of his sisters won't speak to him. There are no good family get-togethers," Meyer said. Avoiding that scenario starts with a conversation, say farm-family-succession experts. "The biggest hurdle is they don't talk. That's plain and simple," said Kevin Spafford, who runs The Legacy Project, a consulting firm specializing in farm-family succession, based in Chico, Calif.
"The arguments start either in the funeral home or the attorney's office and go downhill from there. It's usually over a misunderstanding or a perception that is not reality," said Spafford, who conducts family workshops across the country. He suggests starting with a family meeting, ideally in a neutral location, with a set time and a specific agenda. There can be discussions around imparting important family values and love for the land; how to structure a business so that the next generation can successfully manage together; and what skills and traits should be required, such as a college education, technology skills or work experience outside the family business. Of course, keeping a business within the family is no guarantee of success. According to the Boston-based Family Firm Institute, which does research on all family-owned businesses, not just agricultural, roughly 30 per cent of family businesses survive into the second generation; 12 per cent are viable into the third generation; and just 3 per cent operate at the fourth generation or beyond. That means Steve Heringer and his family's Heringer Estates Vineyards & Winery are exceedingly rare. A fifth-generation Clarksburg, Calif., farmer, he knows the challenges of sustaining an ag business that started with his great-great-grandfather in 1868. About a year ago, he and his brother — who farmed pears, asparagus and wine grapes together for more than 20 years — split their business in half. "We separated our businesses so we can provide succession plans for our families," Heringer said. "As much as possible, I want to ensure the heritage of the farm in the Delta in perpetuity. Each successive generation, if they choose to do something else, that's their right. But since I had two boys who are interested in continuing, I needed to let them take charge." 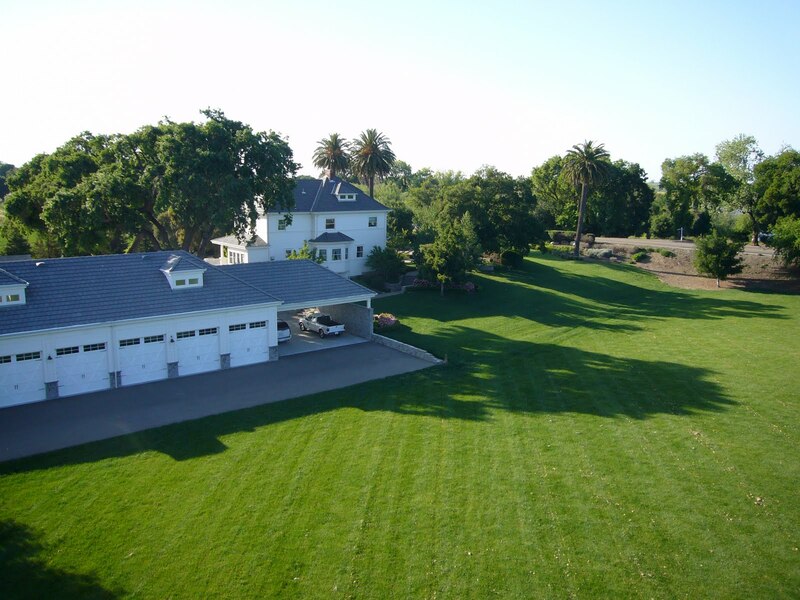 Today, his three children actively run Heringer Estates, which owns and leases about 80 hectares of wine grapes and bottles about 24 varietals, including chardonnay, petite Sirah and Tempranillo. Heringer's son Stephen IV, 39, is operations manager; daughter Stacy Heringer-McElfish, 36, is the wine club manager; and son Mike, 33, a Fresno State University viticulture graduate, is the resident winemaker. For their father, it's deeply satisfying. With nine grandkids, he jokes, "the seventh generation is already in the cradle."